18" x 48" x 11"
The sock begs the radiator to warm it. Never to function, never to heat, the radiator can never give the sock pleasure. 42" x 78" x 25"
Unable to hold itself up without the security of the wall, I Can Dress In Satin, physically with posture, and directly with language, communicates. With text imbedded into the quilting of the face, the mattress speaks for itself. An independent declaration of loneliness, "I FEEL SO LONELY WITHOUT YOU" can never escape it's own state of being. A cast plaster floor with text carved into the tile pattern. 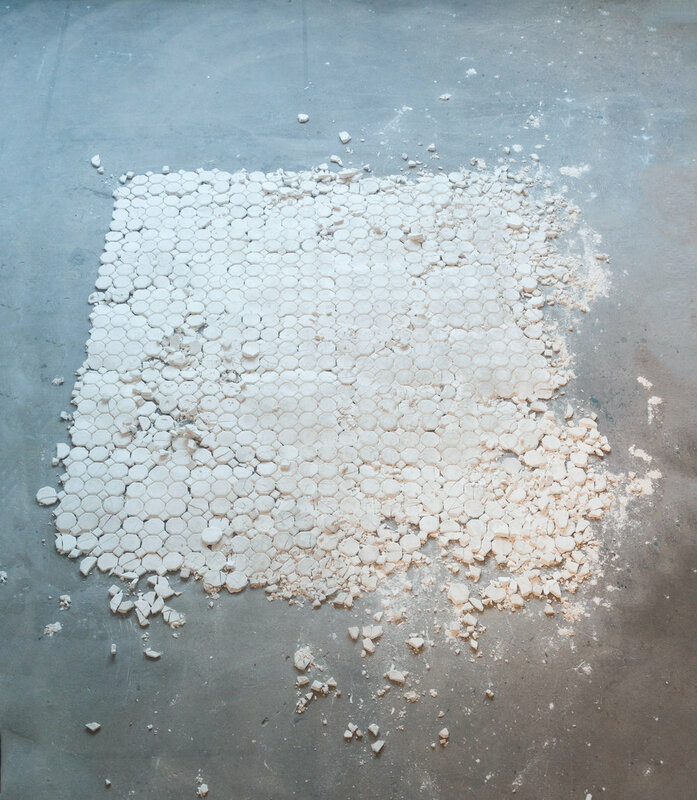 The phrase, “What About Us” asks the viewer to consider the tiles, or whoever “us” may be, while the weight of their body on the floor literally shatters the work as the viewer experiences it.